Wow. I can't believe my last catching up post was back in June. Where has the summer gone? It slipped by in a glare of shimmering hot days while I was looking the other way, and now here we are with the red-gold whirl of autumn leaves at our feet and the bite of the first frosts in the air. What a summer we had though, a long expanse of hot sunny days. 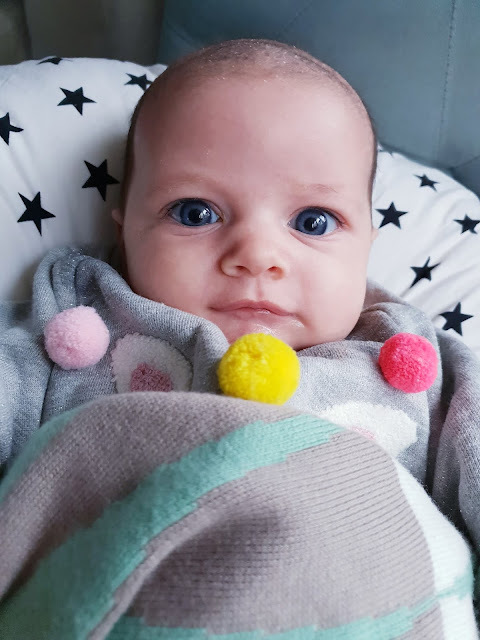 Well incredibly, it's now 10 weeks since we welcomed Romilly Hero into our little family and as you’d expect with a new baby, our horizons have shrunk a bit. We’ve been busy nesting, getting through the first intense newborn days and adjusting to being parents of two children. 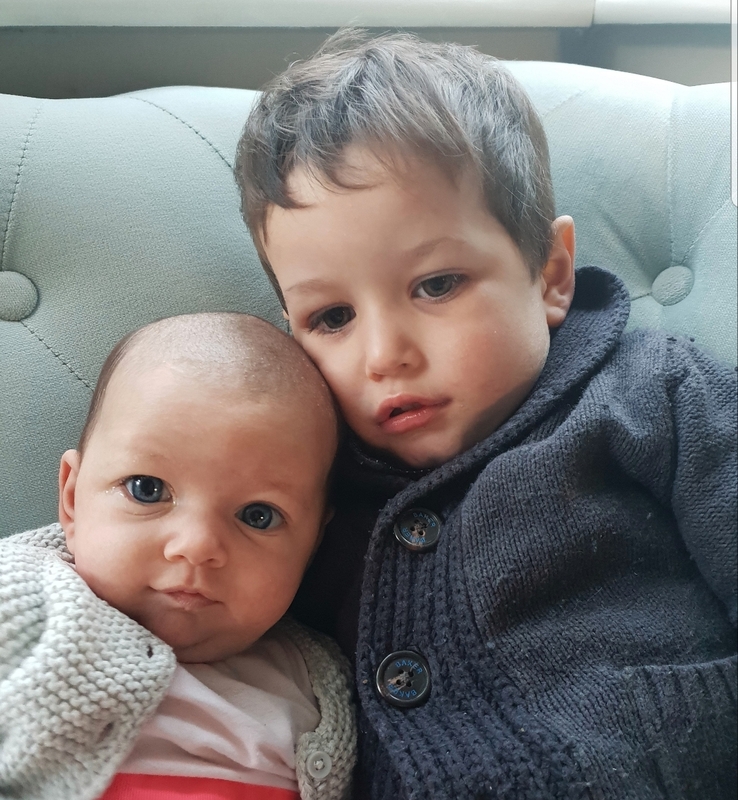 So far (and I say that with a huge pinch of salt, as the one constant with small children is that things always change) Romy is proving to be quite an easy baby, and certainly more chilled out than our son Theo is, even now! She fed well and gained weight steadily from the start, whereas we had so many battles to get her brother’s weight up. Breastfeeding has still been a challenge to establish, but I've been able to be more patient this time and understand that it's a learning curve for both Romilly and I. Although my two children look very alike, their temperaments are quite different. Whereas Theo was what I called a ‘velcro baby’- he didn't ever want to be put down, and only slept in our arms - Romy is much more happy in her own space. She sleeps in her Moses basket, which her brother absolutely refused to. And whereas Theodore frequently woke during the night, sometimes every 40 minutes, Romilly is a unicorn baby that actually sleeps at night! She’ll usually do a stretch from 9.30pm until 3.30am and then until 6.30am. Consequently, I feel tired but human enough to function, whereas I was a complete zombie the first time around. Good nights lead to good days - she naps well too, so I can actually manage to get a few things done while she’s snoozing. I know that could change at any time though, so I'm trying to appreciate it while it lasts. One of the very nicest things about settling in with our new bundle has been watching the bond form between her and her big brother. 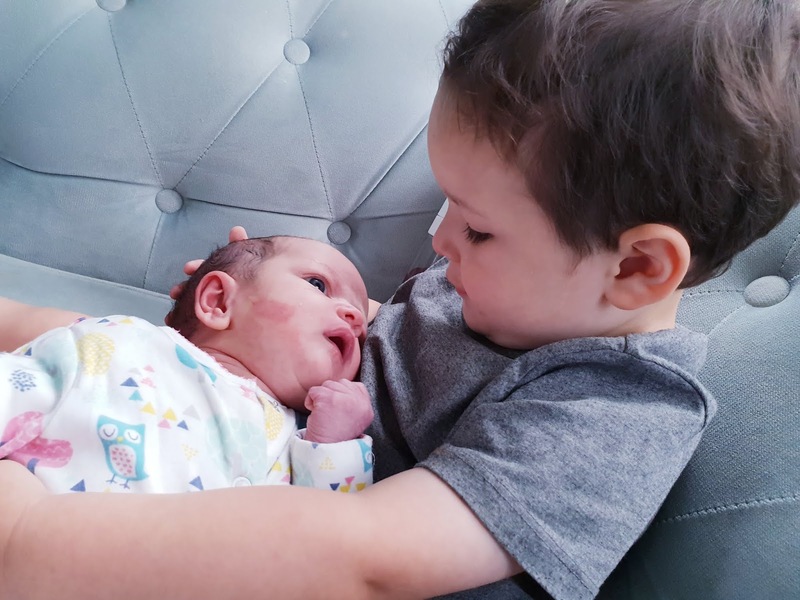 It melts my heart to see how considerate he is with her - wanting to give her a bedtime kiss and show her off to his friends when we collect him from nursery - he even tells us if he thinks we are lifting her too high. 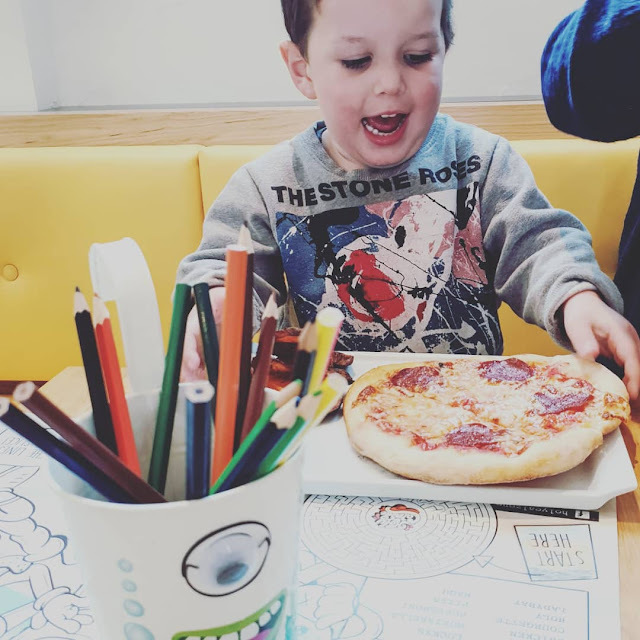 Theo has been the centre of our world since he came along, and I was a bit worried about how he would cope with suddenly having to share the spotlight, but he’s adapted beautifully and I'm just so proud of our little man. We tried from the start to use inclusive language and make him a part of it all, from snuggles with my bump to him coming along to the scan. He's really blossoming in his role of big brother and although losing our undivided attention must have been tough, he's handled it well. Hopefully, in time, he’ll come to see Romy is as much of a gift to him as to us. I'm an only child, so I've never experienced a sibling bond, and I know they must be complex at times, but my hope is that they can walk alongside each other in life and become a source of comfort to each other. Romilly is rocketing through her early milestones, which is quite bittersweet. 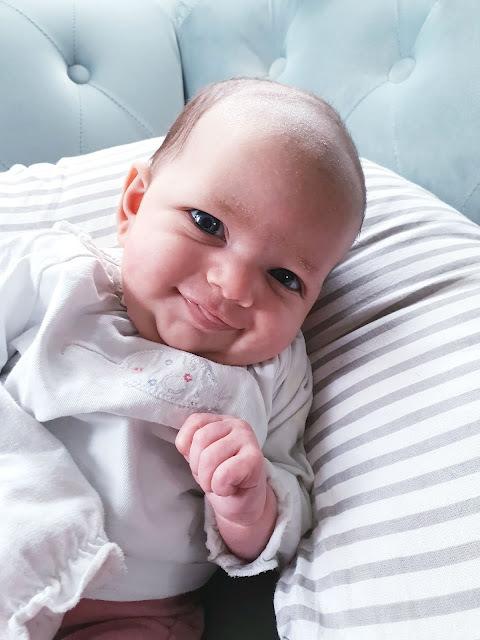 We've had the first smile already, and she's been through her first round of injections. She’s out of the drowsy half-world of newborns and becoming more alert, making lots of noises and trying to join in the family chat. Something tells me she will be just as opinionated as her brother! A lot of people have asked us about her name - it seems to be a bit of a Marmite one! The origin is a version of ‘Romelia’, which in turn is the feminine version of ‘Romulus’, the founder of Rome. It's a city that is hugely special to Sebastian and I. There were actually several names we might have chosen had our first child been a girl that have since been taken by friends or just become overly popular, so we had to cast the net a little wider. There are several places in France and a couple in the UK called Romilly, so I've developed a pipe dream of touring them all with her when she’s older one day. There is a newsreader called Romilly Weeks but other than that it's very uncommon - there were only 33 listed in the 2017 US Census. It may well become popular though, as Theodore has certainly become more so since we called our son that three years ago! One of my big requirements is that I like every nicknamed version too, as you can't control what they or other people use as they get older. So although we tend to shorten it to Romy, if she was to use Milly I'd be happy with that as well. Her middle names are Hero, from Shakespeare’s Much Ado About Nothing, and Susan, after Seb’s mum who is an amazing individual and Granny and my mum idol. I kind of think Romilly Hero sounds like a kickass warrior princess, so I love it! She gets called Pom Pom or Princess P as a family nickname. 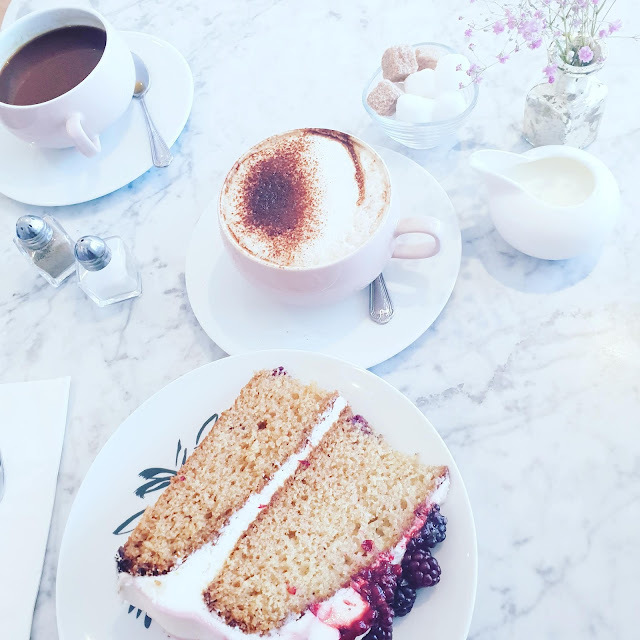 Back in the hazy summer, when we took Romilly to the town hall to officially register her birth, we also celebrated at the White Rabbit Tea Room, which is newly opened in in West Bridgford, although there is one in Nottingham. 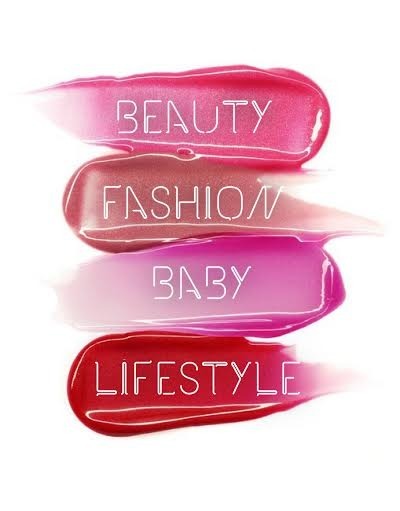 If you're looking for a girly and indulgent treat, it's a great place to curl up for a gossip. Theo and I both had a huge slice of Blackberry and Elderflower sponge, which was very delicately flavoured. Theo loves eating out and is great when we go for coffee or a meal - the staff were even saying how beautifully well behaved he was, which made me very proud. It was our first real outing as a family of four, so it was lovely to do something special. I fell in love with the wallpaper in the tearoom and am going to have to hunt it down for our house. Unbelievably, my first baby became a threenager during September, which has gone in the blink of an eye. He is growing into such an utterly brilliant little human. 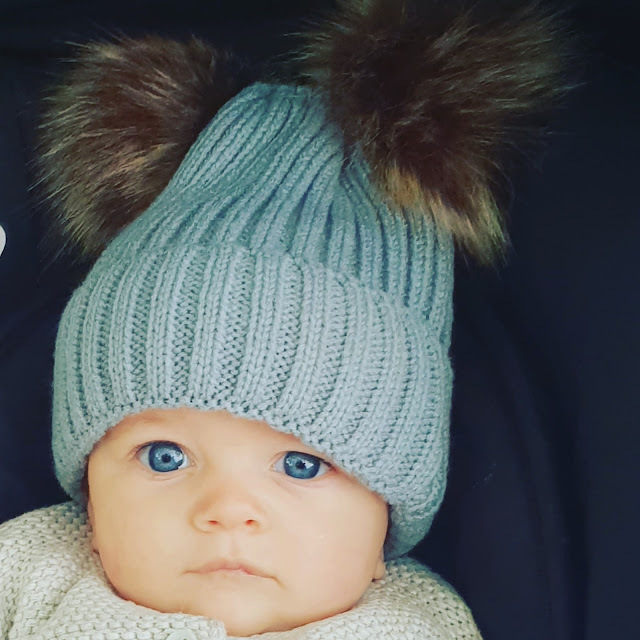 This stage definitely has its challenges and Theo can be quite strong willed - that will stand him in good stead in life, but it doesn't make our job as parents any easier now! - but he’s so funny and great company, so we are really enjoying spending time with him. 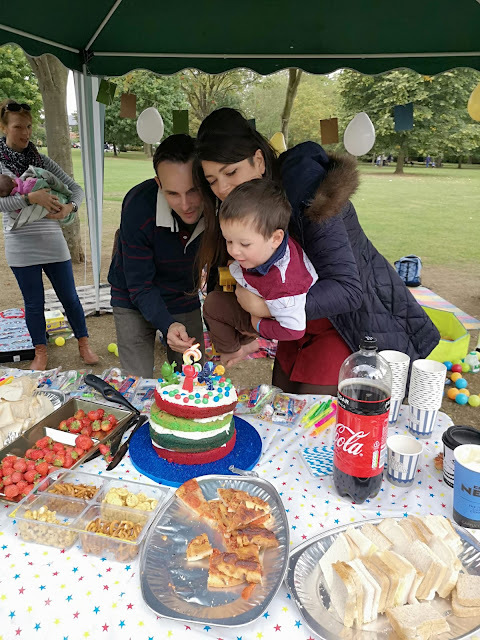 Especially because he’s been so great about his sister’s arrival, I desperately wanted him to have a lovely day that was all about him on his birthday. 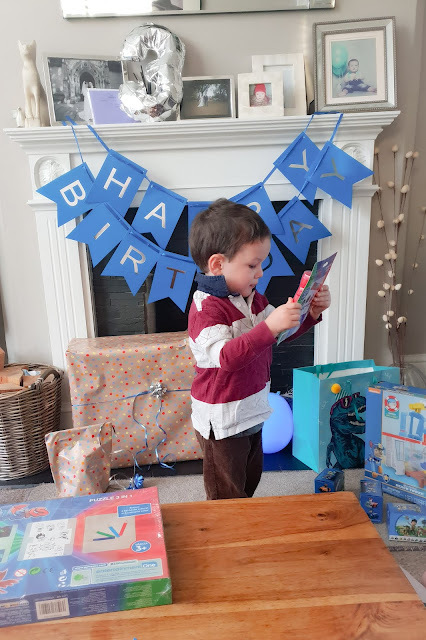 He is really into Paw Patrol and PJ Masks at the moment, so most of his presents were around those as well as lots of Duplo, because he loves to build. 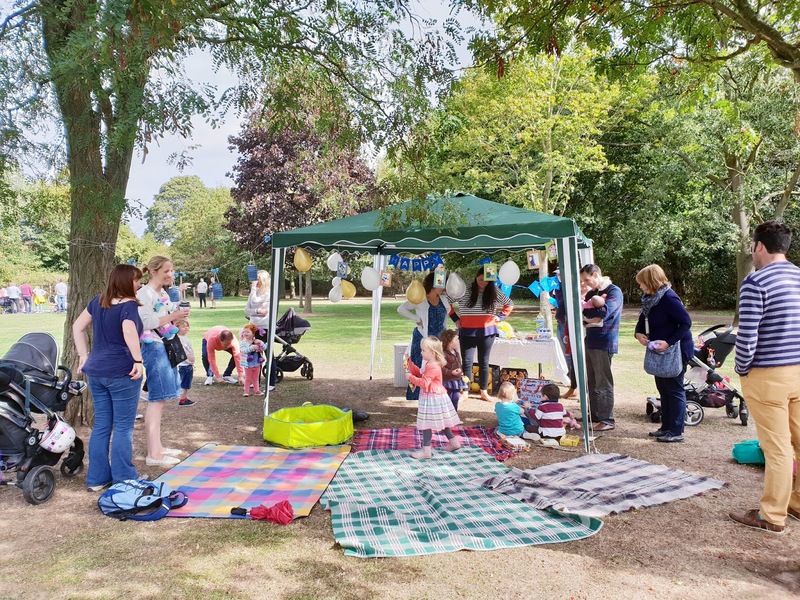 With a new baby to look after, I wasn't keen to have a bunch of toddlers trashing my house, so we decided to do a Teddy Bear’s picnic in our local park instead. I was massively nervous about the weather as we didn't really have a plan B for it it rained, but it turned out really sunny and lovely, thank goodness. We put up a gazebo and some bunting, set up a ball pit and a bubble machine and a bunch of picnic blankets and let the littlies run wild. 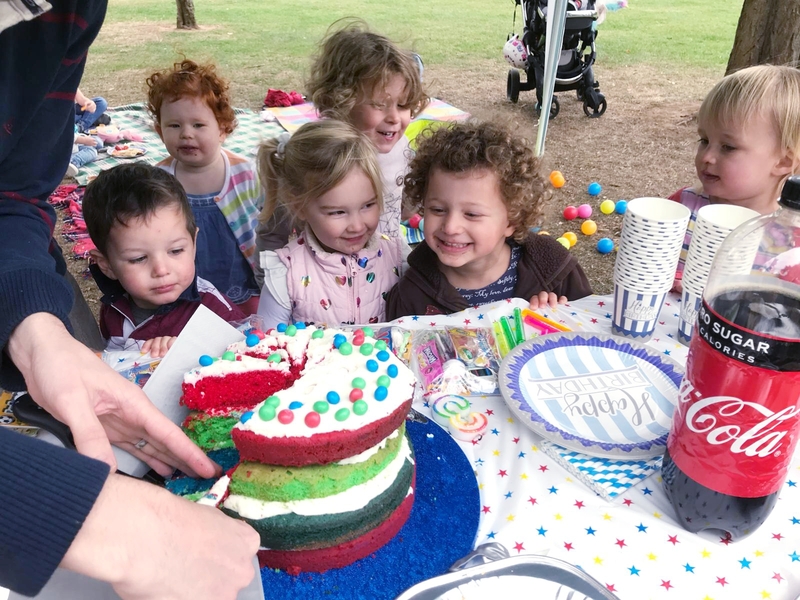 It was the first birthday Theo’s had where it wasn't just family - some of his friends from nursery came along. It was really nice to get to chat to the parents, who are all lovely. 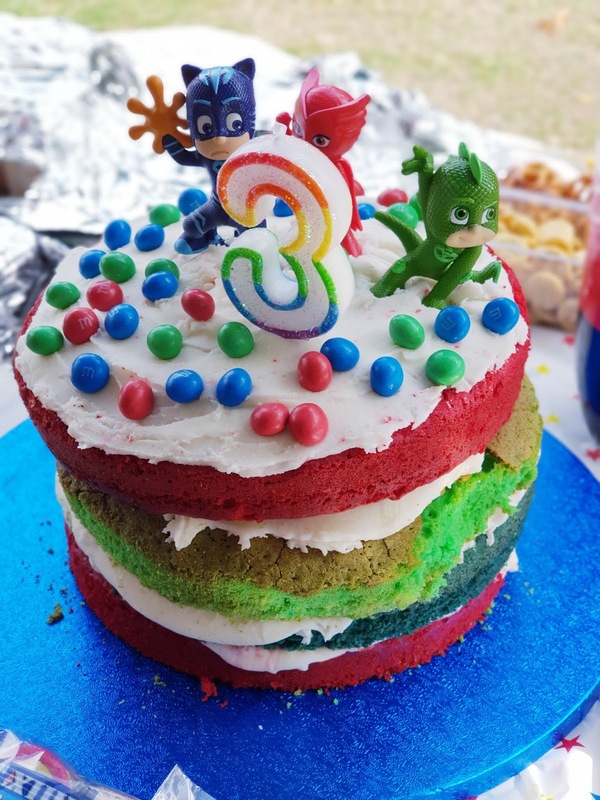 I made Theo a rainbow-layered PJ Masks cake. I had to re-bake several of the layers as they kept turning out lopsided due to my awful old oven, so it wasn't my finest creation, but hopefully he liked it. He told me he’d had a great day, so that meant a lot. He’s just moved up to the preschool class at nursery where they do French, yoga, cookery and dance lessons, and he’s thoroughly enjoying it. Perhaps because I can take staring at the same four walls all day, I've been cramming my maternity leave days full of activities, and I'm lucky because there is so much to do with babies in our local area. 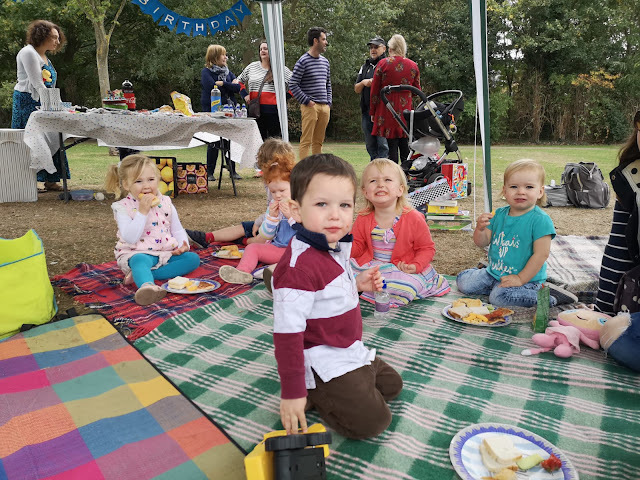 A typical week for Romilly and I is quite crammed with playgroups, coffee mornings, sensory sessions, bring your baby spin classes, cinema trips, visits to friends and walks around the country park. I actually feel like the last few weeks have been a little too packed, and that we've been rushing around too much! So I'm going to try and slow down a bit now and keep at least one day of the week more chilled out! 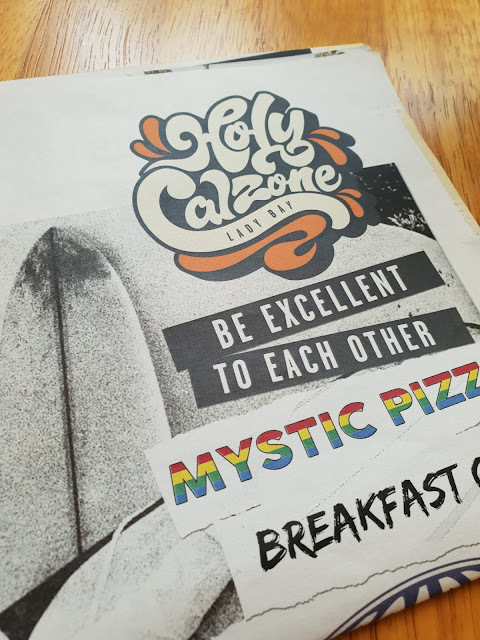 Another family outing we has was for dinner at Holy Calzone. 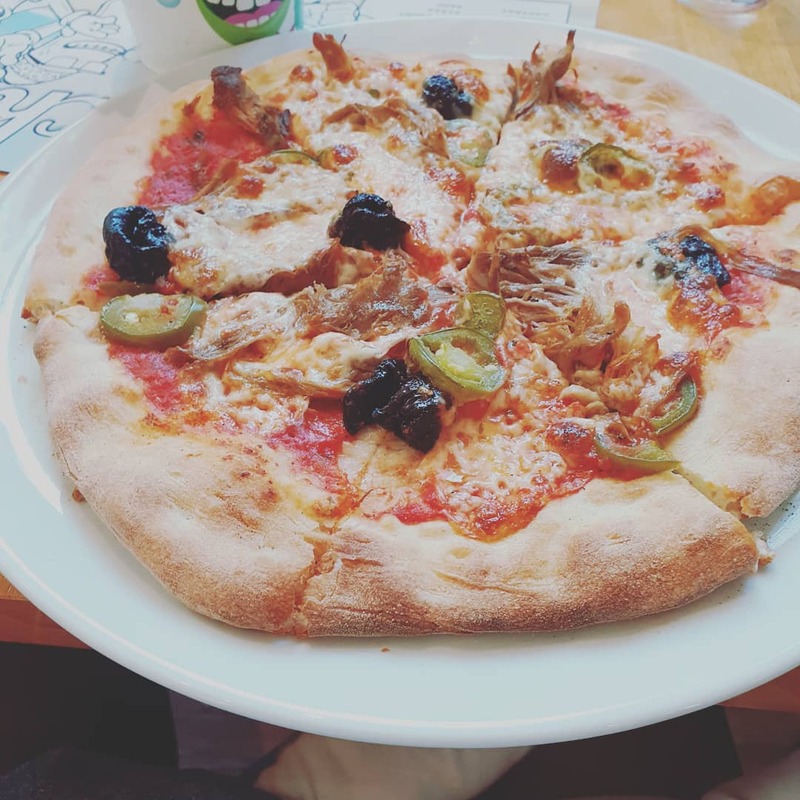 It's a pizza restaurant and bar which has opened up in a disused church in our neighbourhood, a beautiful building that had been standing empty. The venue is managed by people who own a couple of Nottingham’s great bars, Junkyard and Boilermaker, a sort of speakeasy that looks like a boiler repair shop until you pass through a secret door into an amazing cocktail bar! So we were pretty excited to try their latest venture. I opted for a slow roast lamb, jalapeno and prune combination - it sounds a bit weird, but it worked very well, the prunes were all jammy and sticky and worked well with the rich meat. Then I tried their strawberry and prosecco gelato, which was whisper light and very tasty. They were very welcoming to the kids and the place was full of families. 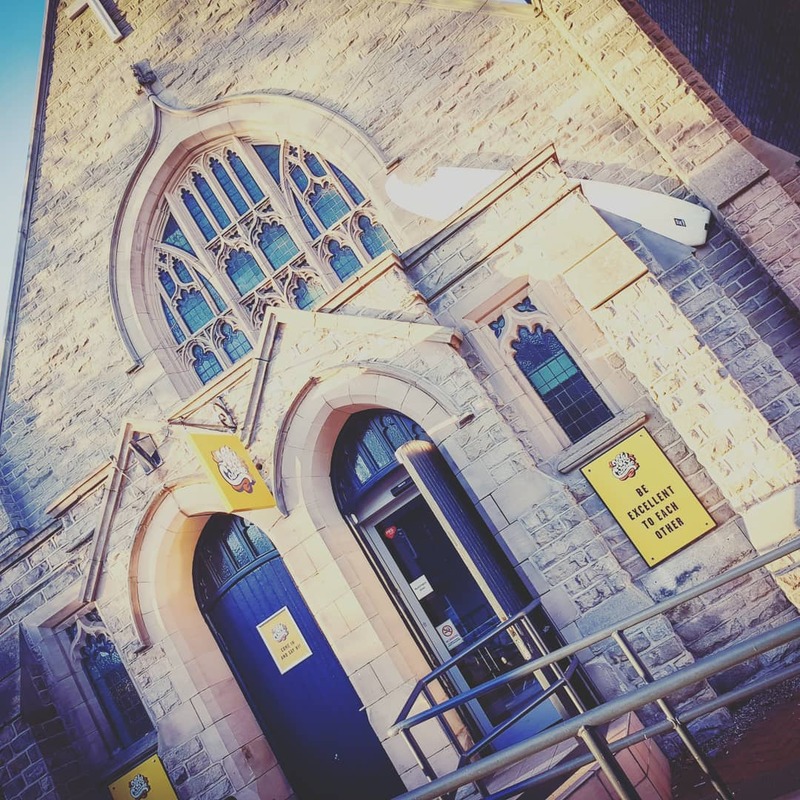 We’re really glad to welcome it to area and I'm sure we’ll be popping back soon, especially as they do a lovely brunch menu too. 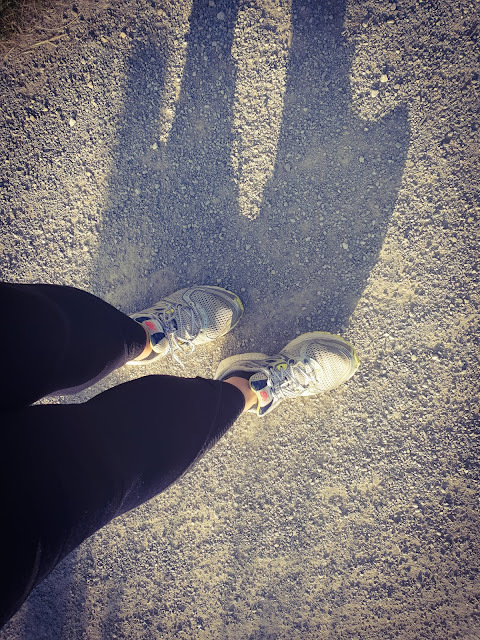 After passing my 6 week check up with the midwife, I've been eager to start exercising again. To be honest, my body is getting me down a bit at the moment and I feel so heavy and out of shape. 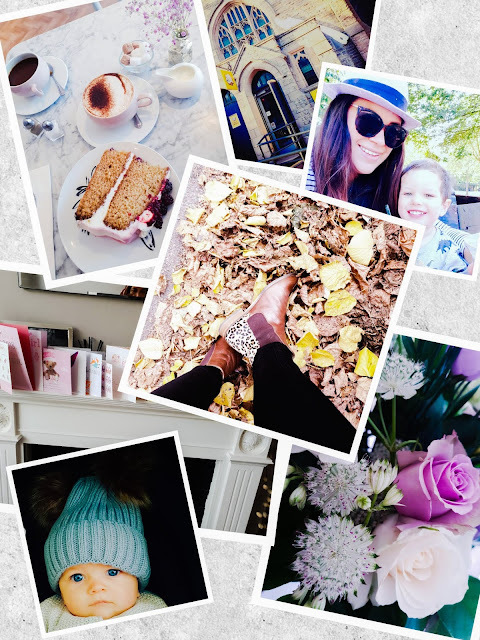 With Theo, I didn't gain too much weight and I was going to the gym until almost eight months into the pregnancy, whereas this time, I was so tired all the time, and apart from pregnancy pilates I stopped proper exercise at three months in. 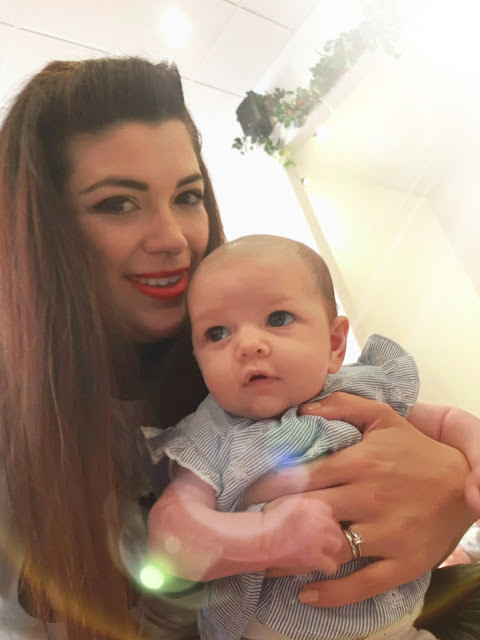 At the time, I just put my low energy down to working full time and having a very active toddler to look after, but my GP told me I'd been severely anaemic the whole pregnancy - something my midwife never saw fit to mention! So I'm now very far out of condition and feel like a potato. I'm trying so hard to stop being negative and be kinder to myself and the body that made my wonderful kids, but it's a struggle because I feel quite uncomfortable and self-conscious. One of the things I've recently started again is running. I took it up after I had Theo and although I'm definitely not a natural, I grew to love it for its simplicity and the mental clarity it gave me - plus it was something I could fit around my job and family life. Starting again has been quite hard. I can only do a short route - at the moment, I'm running to nursery to pick Theo up - but it's enough for now. My only rule is that I have to run the whole way, however slow! I'd like to be able to enter some running events in time. I’ve also been taking Romy to bring your baby spin classes, which are great fun. At the moment, there are so many box sets I have lined up on Netflix and Amazon Prime that I want to watch, but I don't seem to be getting round to them at all! We’re still finishing off Suits and the current series of Better Call Saul. 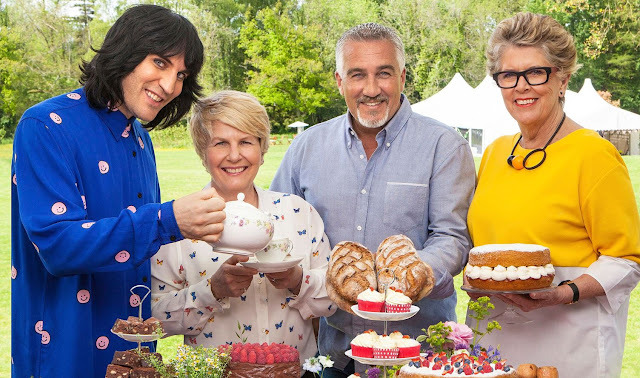 I'm also watching a couple of things live, like Celebrity Island with Bear Grylls and The Great British Bake Off - after all the flap about it's move to Channel 4, I am loving the presenting lineup even more! 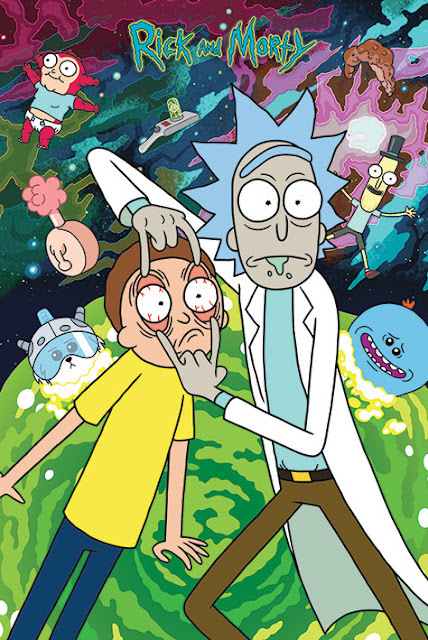 We've also just got into Rick and Morty for some light relief- it definitely has the kind of dark humour I love. 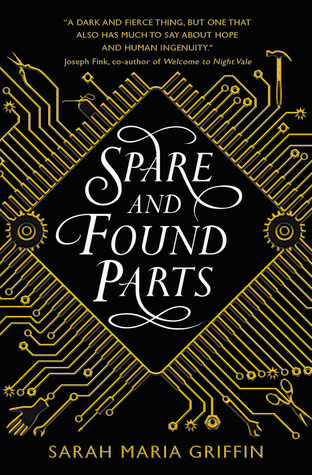 I've recently enjoyed ‘Spare and Found Parts’ by Sarah Maria Griffin, a sort of coming of age science fiction story set in a post-apocalyptic world where computers are outlawed, but a young girl builds a robot companion. 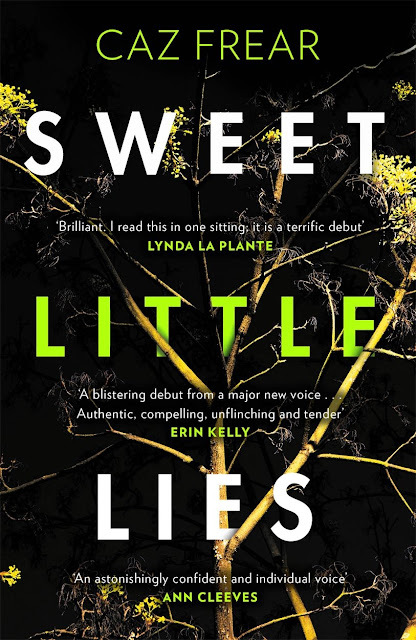 I also quickly devoured ‘Sweet Little Lies, by Caz Frear - a pacey and well written murder mystery about a female police detective whose past violently collides with a complex case in the modern world. Both well worth a read! Almost didn't include this one, as I really haven't been listening to much music other than nursery rhymes lately. But I have been really enjoying the new track ‘Strobe Light’ by Little Dragon, one of my favourite groups, as well as anything by Minerva Confidential. And that is my little world right now - here's to positive changes and enjoying motherhood! 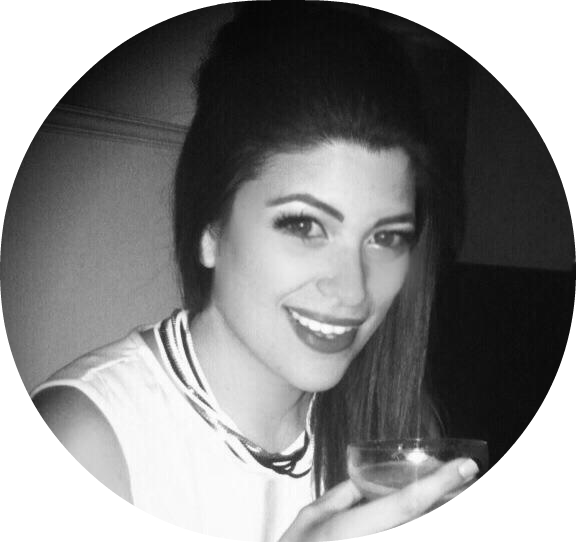 Revolution Skincare | Better Than The Ordinary?